A shudder rips through my body. Shivering again. 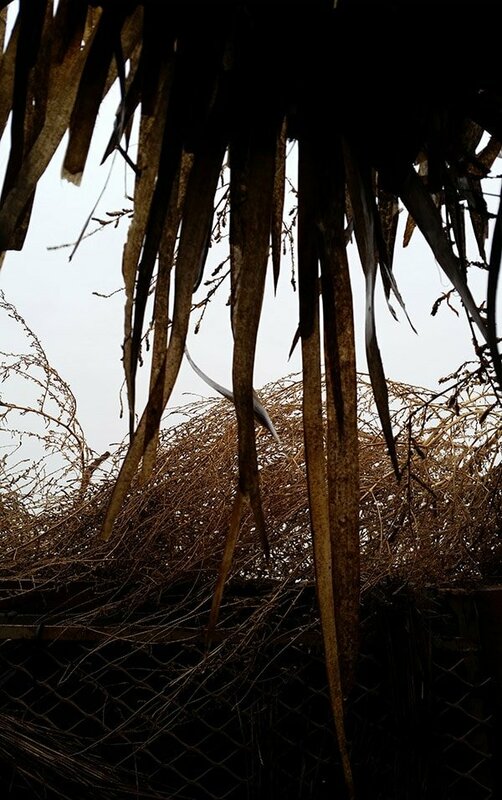 I stare at a small hole through the tumbleweeds and marsh grass, tucked into a bunker of a duck blind. 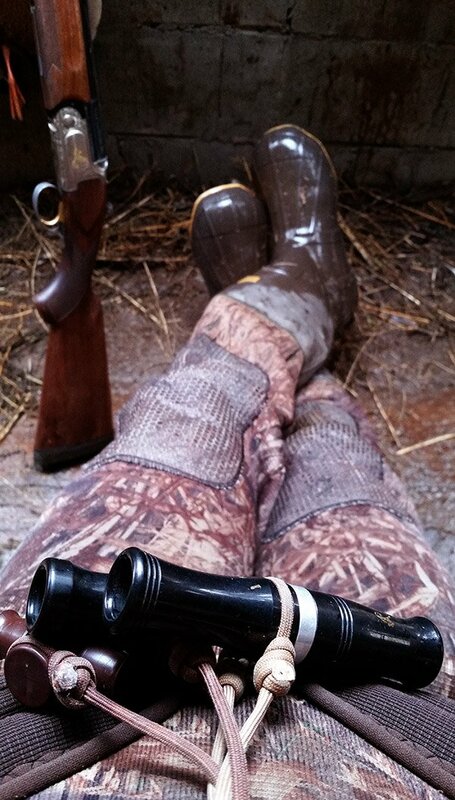 Waiting for mallards. Mallards. Greenheads and susies, drakes and hens. Anas platyrhynchos is the most widely distributed duck in the world. It is the ancestor of most domesticated ducks, including the big white “AFLAC Duck” you see on television. If you say “duck” to most humans, a greenhead is what springs to mind. I am not immune to this, but the simple fact is that here in NorCal, where Holly and I hunt ducks, we just don’t see many mallards. A typical hunt for us involves the “refuge mix” of pintail, gadwall, wigeon, green-winged teal, and, alas… spoonies. Any other sort of duck is an anomaly, often a welcome one. Don’t get me wrong, a strap of pintail, wigeon and gadwall is a pretty fine one. But there’s something about mallards. They’re big, often a full half-pound larger than pintails and a pound heavier than a typical wigeon. Mallards can lay on the fat like nobody’s business, too. 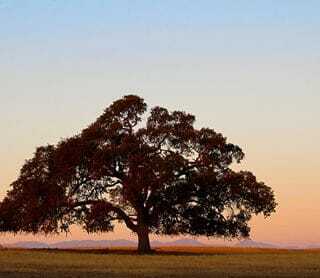 I’ve seen morbidly obese mallards from the Butte Sink here in NorCal with a full cup of rice crammed into their crops. Mallards also decoy better than most ducks, giving you that “landing gear down” shot you see in paintings. Which is why Holly and I decided to plunk down a big chunk of change to Pacific Wings Outfitters and drive 12 hours almost due north to Washington state’s Tri-Cities area. 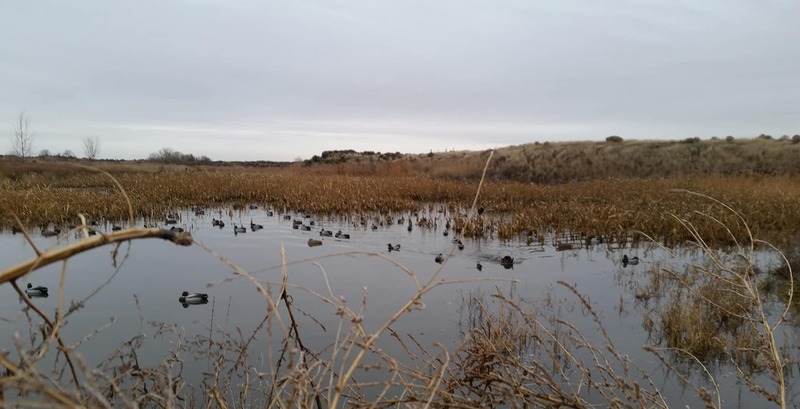 Mike Franklin, who runs Pacific Wings, has access to a series of ponds in eastern Washington’s corn country. These ponds are mallard magnets, to the point where it’s rare to shoot any other duck. We don’t normally hire a guide to hunt ducks, except for sea ducks, which require boats and floating blinds and an odd set of decoys we don’t own. Holly and I are good duck hunters, better than most. We both guide others from time to time. But the chance to limit on mallards for a couple days was worth it. I felt the same way I do when I pay to eat at a nice restaurant: Sure, I can cook as well as many chefs, but sometimes I am willing to pay for something special. It’s like that. This year the drive was relatively easy. Long, but easy. Some years the roads are covered in ice and snow, especially around Bend, Oregon, which seems to have an aversion to snowplows. Driving 700 miles north alters the light, too. The days are shorter, grayer, colder. Mike’s giant duck blinds help mitigate the elements. Dug into the side of the ponds, these bunkers seat six. Four hunters (we were paired with a couple crabbers from Oregon), Mike and young Michael, a champion duck caller still in his early 20s. With Mike and Michael calling, Holly and I didn’t feel the need to add to the symphony. This was a nice break, as we’re usually the pit bosses doing all the calling. Holly, who’s hunted with Mike more than I have, kept telling stories of 30-minute limits, mallards in our face feet down and quacking. Looking at what I had to shoot out of, I reckoned they’d better be. Well hidden, the blind gives you only a tiny hole in the brush to look out of, and your job is to not move too much or stand up to follow the flight of the birds. It’s just to shoot. This is disconcerting to me. 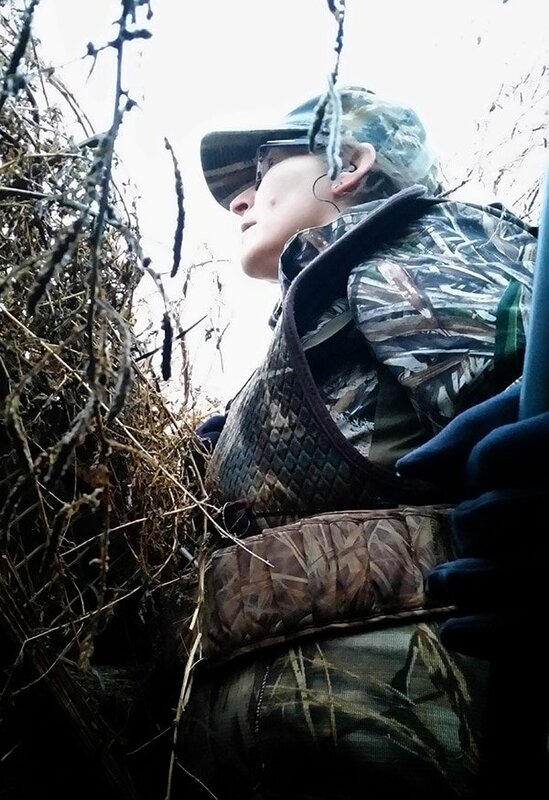 Holly and I normally hunt almost back-to-back, tucked into the reeds, sitting on swamp seats wearing ghillie jackets. This method allows us to see everything, call in all directions — and, most importantly, swing on passing birds. This was the antithesis of that, and it felt constricting. But the birds came. 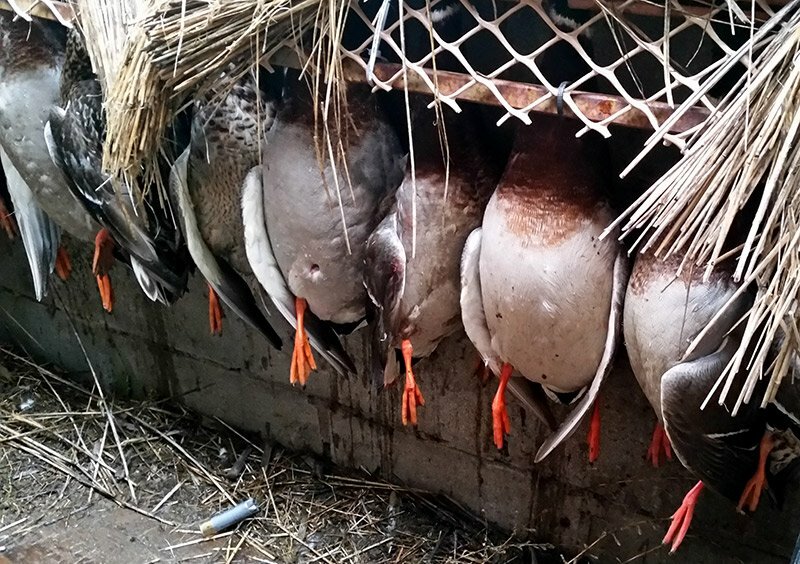 Mike and Michael’s aggressive calling — hammering their calls at a rate that would scare off every duck within earshot back home — got the attention of singles, pairs, foursies and even large flocks of mallards. All mallards. They’d call them right to the water, we’d stand up, the birds would see us, take off… and, more often than not, never make it out of the pond. The shooting was so close I could actually think about head shots, so I wouldn’t spoil any meat. This almost never happens. In fact, the only times I can remember consciously thinking I’d be able to shoot flying birds in the head was a Canada goose hunt in Manitoba, where the geese were basically landing on us, and on a black swan hunt in New Zealand, where the only way to bring down one of those giant birds is a head shot. Blue the Labrador made retrieve after retrieve, and the birds began to stack up in the blind. Mike had carved notches in a board to hang the mallards from, and it soon became a murderer’s row. It wasn’t a 30-minute limit, but we were done before 10 a.m. Twenty-eight mallards between four of us. The next day proved tougher. Mike had to pick up his nephew, so it was just Michael and the four of us, back in the same blind. We awoke to a morning a full 10 degrees warmer than the previous one, and with less wind. If you’re a duck hunter, you know this is no bueno. Warm weather and no wind equals lazy ducks that sit all day. Dawn came. Two teal landed in the decoys, on the crabbers’ side of the blind. They elected to let them live in the hopes of limiting on larger mallards. This was a fateful decision. Hours went by. We’d get a mallard here, a mallard there. The realization that this would not be a limit day seeped into everyone’s mind. No one mentioned it aloud. Holly and I are used to slow days, but we’d hoped for quick limits on this one. As soon as this hunt ended, we had our return journey ahead of us, all 12 hours of it. On the Wednesday before Thanksgiving. This sent a shudder through us that had nothing to do with the cold. Eventually, we each had four mallards hanging from our notches. I was happy. 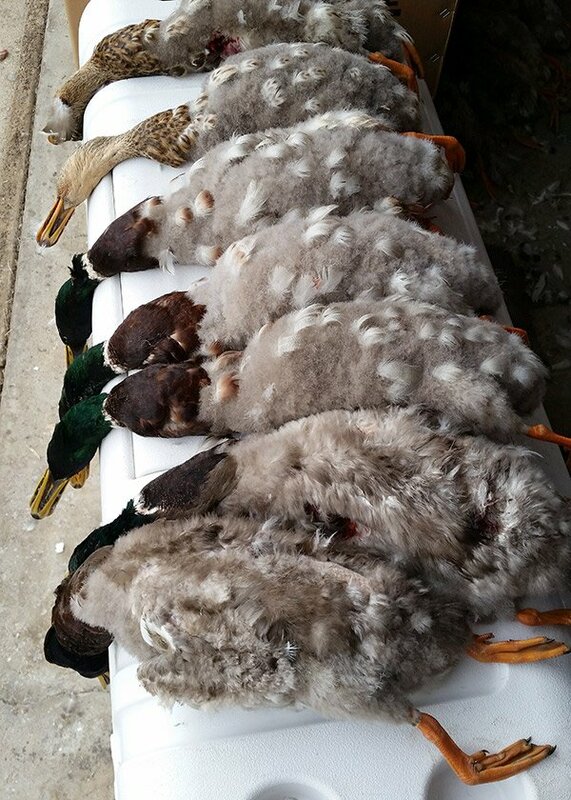 Four mallards is better than none. But Mike was determined. We hunted on. As the day progressed, the weather turned. The wind picked up and snatches of blue peeked through the clouds. Weather changes are good for a duck hunter. Birds typically move then. And they did. A large flock of ducks began circling us. Some, oddly, were small. “Woodies,” Mike hissed in between calling. Closer and closer they circled, and Mike called the shot. We all got up, shotguns blazing. I smacked a small duck (woodie?) squarely, but it seemed to shrug it off and sailed off to the right of the blind. No one else even cut a feather. It’s one of those weird duck hunting things: Every so often, the fates line up and everyone in the blind misses lay-up shots. The ducks win that round, and we’re OK with that. After that miscue, the ducks started flying in earnest, and in short order we all had 6 ducks on the notches, with several still in the pond somewhere. Mike called the hunt, and we brought out the dog to help us find the remaining birds. It almost immediately found a mallard Holly’d shot early in the day, and then flushed another duck. I saw it streak through the reeds. Small, dark. The woodie! I swatted it on the water, and Holly picked it up. 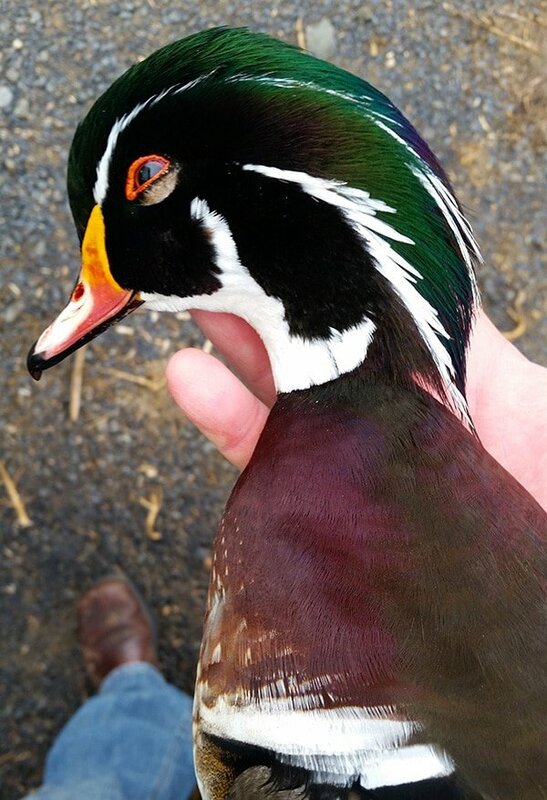 What a wood duck! A perfect drake I may get mounted. Woodies are among the prettiest birds in North America, a joy both to look at and to eat. In the end, I gave one of my mallards to the crabbers, so we each had 13 ducks per party; we’d never have found the last two without their dog, after all. Flash forward a few hours. We stopped for gas and a bite to eat, and, on returning, opened the car door. The car smelled like mallards. We were tired, with hundreds of miles still to go. In the end, we didn’t get home until nearly 2 a.m. We spent almost all of Thanksgiving Day plucking, gutting and processing mallards. Most were in beautiful shape, fat and stuffed with corn. But it was all worth it. The long drive, the expense, the cold and damp, the odd hunting conditions. Holly and I are now awash in fat mallards. I’ve already smoked four ducks, rendered three cups of pure golden duck fat, made 6 quarts of duck stock, and have packed and frozen lots of breasts, legs, wings, gizzards, hearts, and even a few fat livers. A bonanza. Our NorCal season is really just starting now. And we’ll shoot our share of local ducks before it ends. But it was good to get our greenhead fix. Explore this wild, edible world we live in, here on Hunter Angler Gardener Cook!